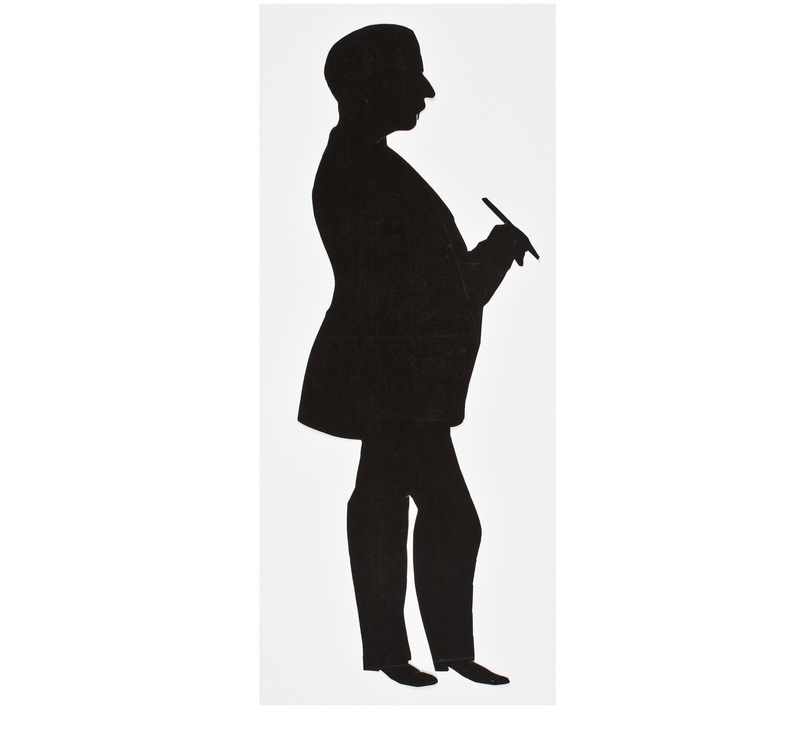 The American Antiquarian Society collection of portraits contains 209 silhouettes. 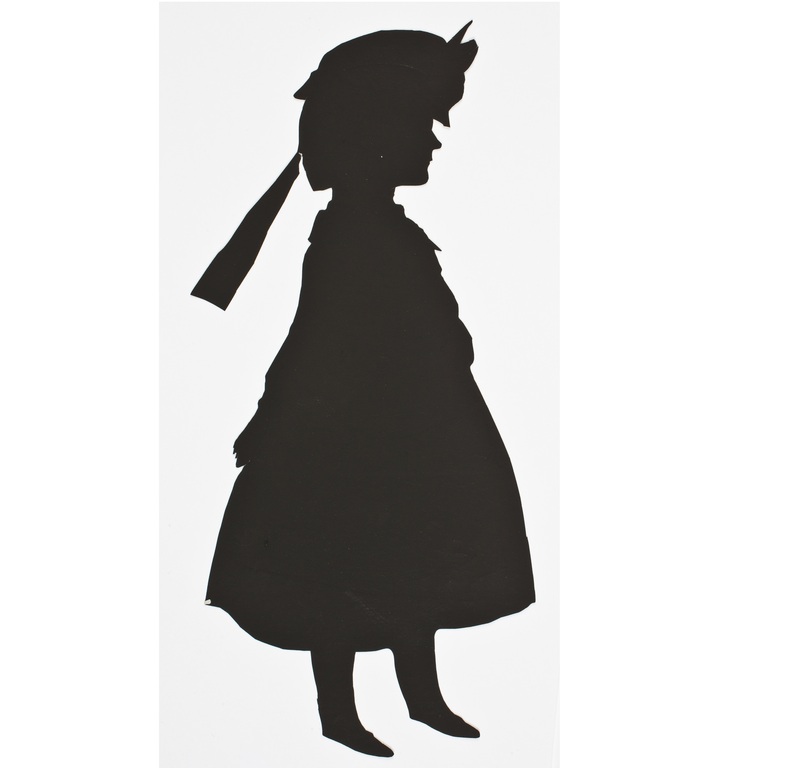 Silhouettes are profile portraits made of paper that became popular in the mid-eighteenth century in Europe. 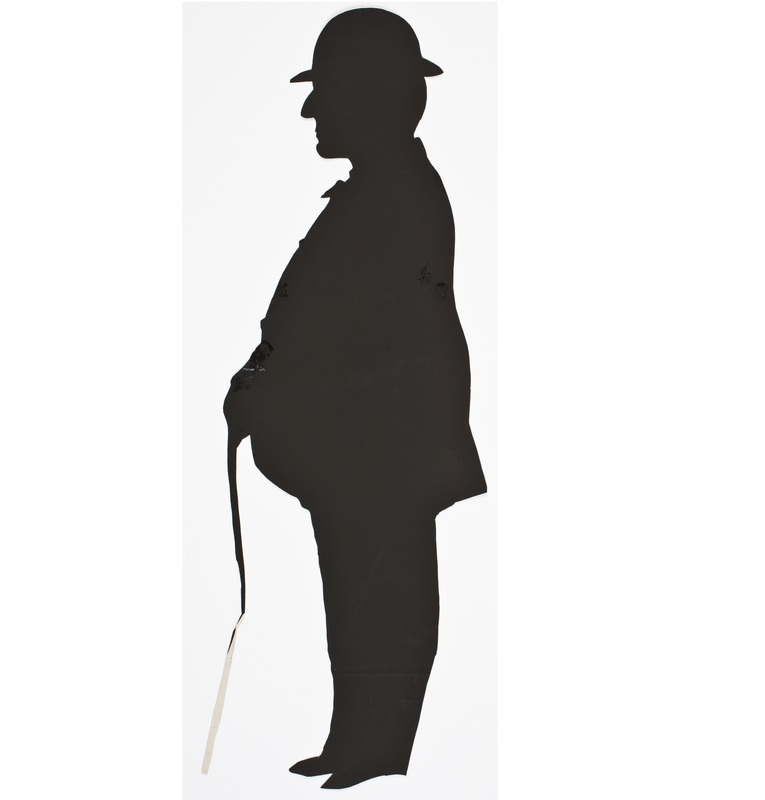 Generally the profile of the sitter is cut out of white paper and the resulting shape is then mounted on glossy black paper or black fabric. These portraits became very popular in the United States during the early nineteenth century. 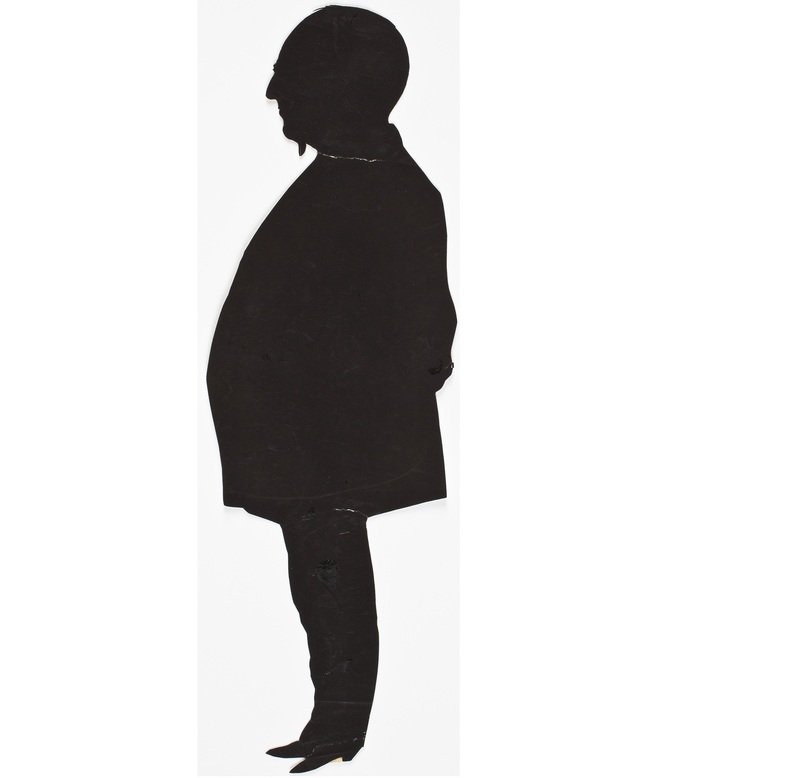 Itinerant silhouette cutters traveled up and down the eastern seaboard advertising in American newspapers and making likenesses of a wide variety of citizens from all walks of life. Within the collection are traditional silhouette cuttings on black paper, hollow-cut silhouettes with black paper or fabric underneath, and painted silhouettes. Some have been partially cut, allowing for ink and watercolor detailing to be added. The collection includes portraits of men, women, and some children. Five silhouettes have the blind stamps of the Peale Museum in Philadelphia. 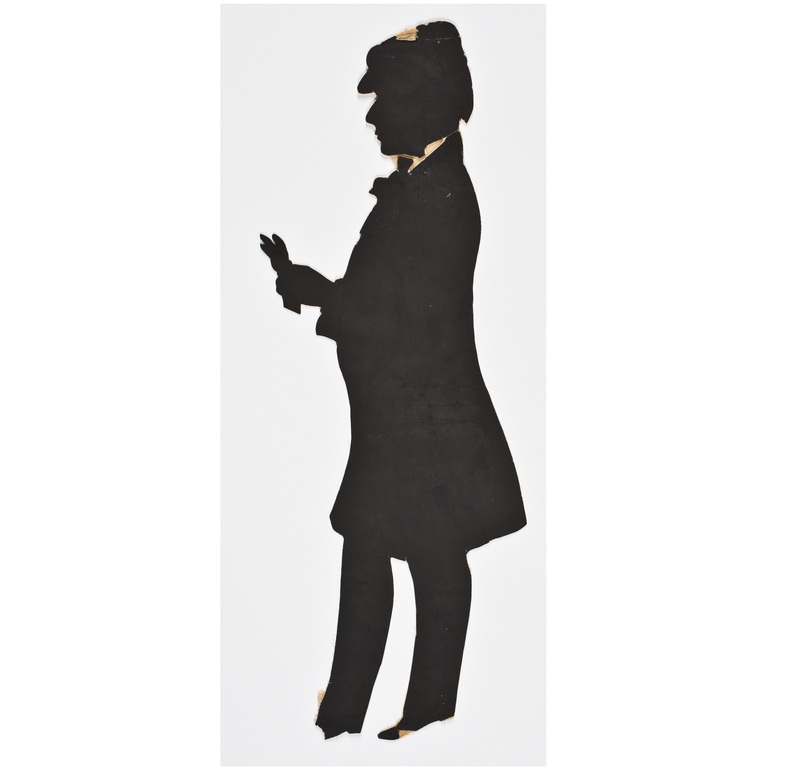 African American artist Moses Williams, an indentured servant of Charles Willson Peale, cut thousands of silhouettes for visitors to the museum in the first decades of the nineteenth century. Artists in the collection include William King, D. Dudley, Master Hubard, Holden Wetherbee, Martha Ann Honeywell, and William M.S. Doyle. Honeywell worked in the first decades of the nineteenth century because she cut her silhouettes with the scissors in her mouth, using her feet to hold the paper as she was born without hands. The silhouette is signed "Cut without hands by M.A. Honeywell." Sitters include Worcester notables Stephen Salisbury II, Dwight and Mrs. Foster, and Levi Lincoln Jr. One silhouette possibly depicts the African American author Phyllis Wheatley. In 1916, Mrs. Ida Whittier McClure donated eighty-nine silhouettes cut by her grandfather William Chamberlain, of Louden, New Hampshire. These silhouettes were cut during a two year tour through New England in the 1820s.